If you have read my reviews, you know I swear by Maybelline the Falsies Mascara. So when I saw the commercial for Maybelline’s new Illegal Length Mascara, I knew I had to try it. Maybelline claims this mascara adds 4mm of measurable extensions and that the fiber-fix brush has six different contact points with each lash for optimal fiber placement. This mascara is also supposed to stretch and seal the formula to the lash. This made me think of a drugstore equivalent to Fiberwig Mascara, which is the gold standard in extension mascara. At $8.99 Maybelline’s version is a fraction of the price. 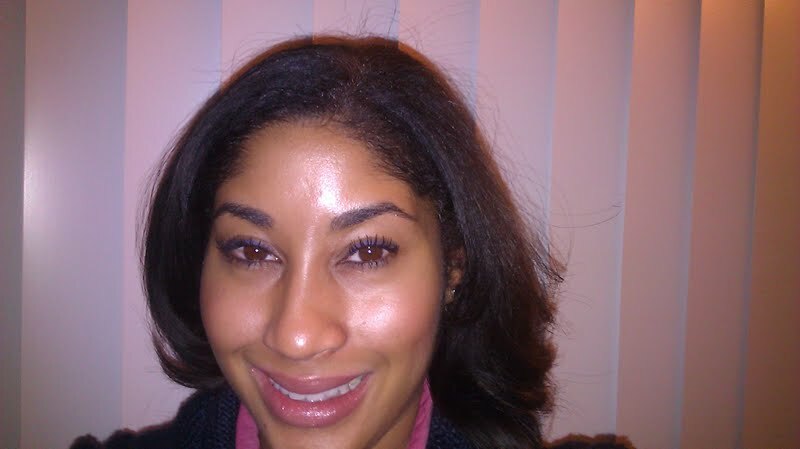 Check out my pictures below to see if Maybelline Illegal Length Fiber Extensions Mascara lives up to its claims. The wand is straight and long with very long bristles. In this picture, I have the mascara on my left eye and not on my right so you can see the difference. As you can see, there is quite a big difference. This mascara definitely separates and lengthens and in case you were curious that is all the mascara’s work. I don’t use an eyelash curler. I like this mascara alot, it goes on smooth and does not flake (I can’t even say that about the Falsies formula) plus it lasts all day. It also washes off pretty easy and I like the wand. 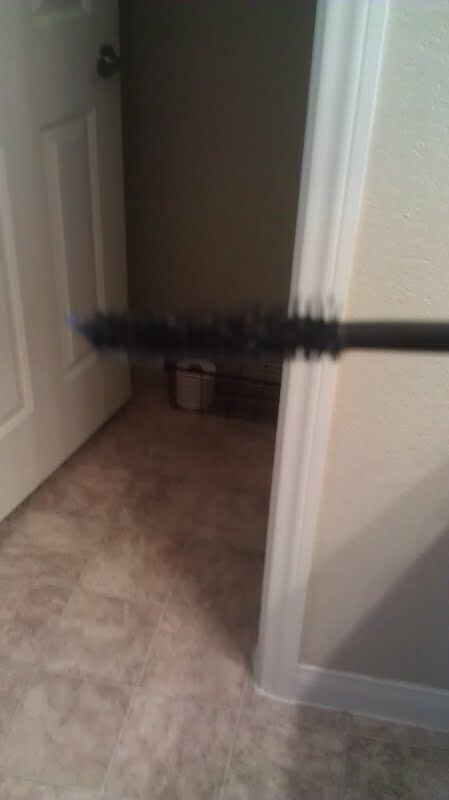 Overall I give this mascara a B+. It definitely lengthens, but not 4mm worth of length, that was quite a lofty claim. I have pretty long lashes naturally but I can’t say that my lashes are any longer with this mascara than they are with the Falsies Mascara. 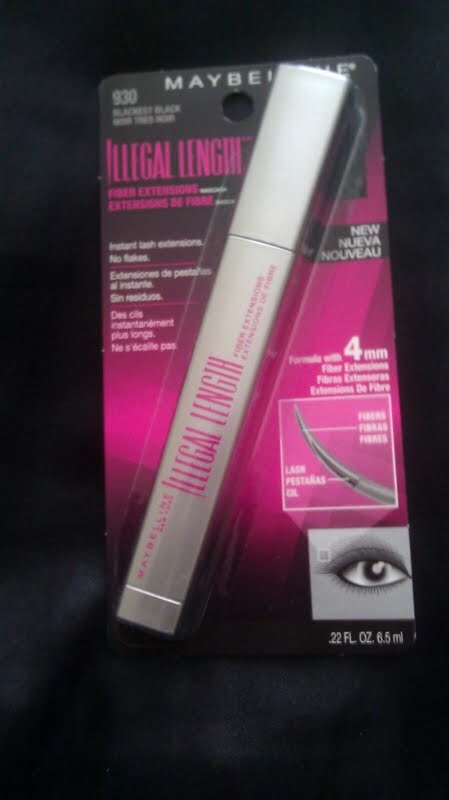 I still think this is a good mascara and worth trying if you don’t have a go to formula yet. What do you think? Either way long lashes and trying new mascara makes me happy. I like Illegal Length but not enough to give up the Falsies Mascara, but I do think Maybelline gets it right when it comes to mascara. If you have any recommendations for me to try, please comment!